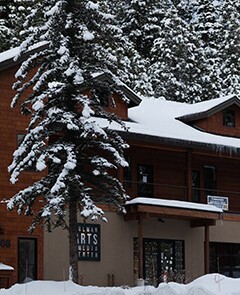 Critical Theory Seminar at the Sierra Nevada College Interdisciplinary Arts MFA, Winter Residency. January 3–12, 2019. Public Artwork commissioned by the San Francisco Arts Commission for the Masonic Avenue Streetscape Improvement Project at the intersection of Masonic Ave. and Geary Blvd., San Francisco, CA. 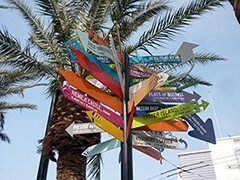 Installed July, 2018. 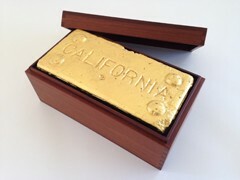 California Brick included in group exhibition at The Sam and Alfreda Maloof Foundation, Alta Loma, CA. October, 2016–February, 2017. Navigational pamphlet commissioned by Carrie Hott as part of The Key Room, a permanent, site-specific, art installation and visitor resource center created for the Headlands Center for the Arts. Opened March, 2016. Once Upon A Time, Happily Ever After included in group exhibition at California College of the Arts, San Francisco, CA; January, 2016.